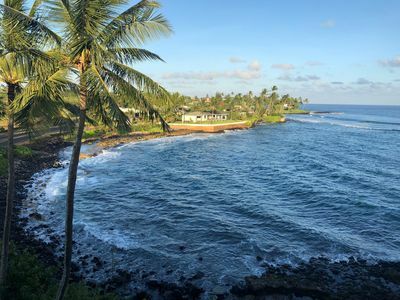 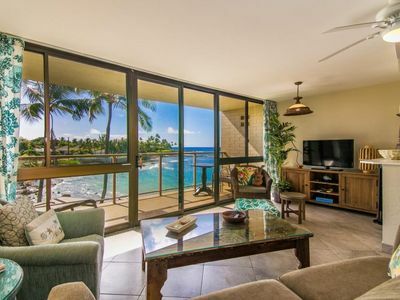 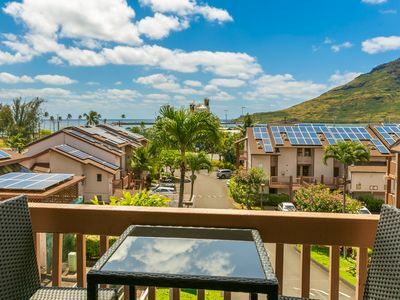 Poipu Sands 411 is an beautifully furnished, and elegant condo on the sunny South Shore, where you can experience the magic of soft tropical breezes, peaceful sounds of the surf and views of the ocean while relaxing on your own lanai. 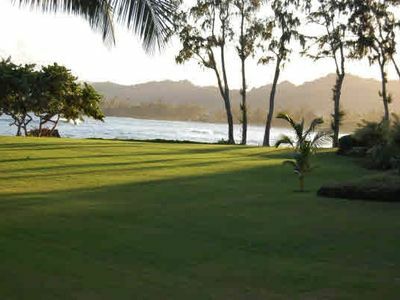 The only 1 bedroom ground floor end unit in Poipu Sands with no one above or below you, enhancing the quiet, relaxing atmosphere. 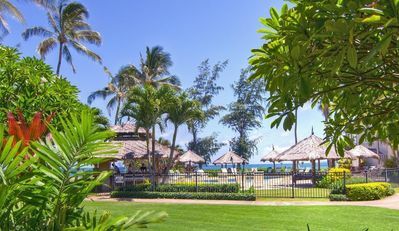 We have repeat guests who come year after year to enjoy the amenities and tropical beauty. 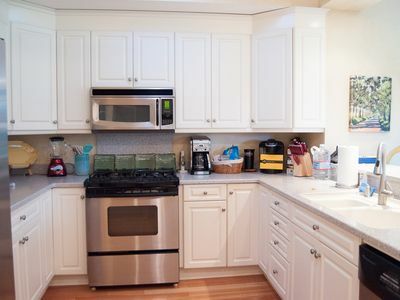 Our spacious 1,000 sf 1 bedroom, 1.5 bath luxury condo has fully remodeled kitchen and bathrooms with granite counters, stainless steel appliances, custom cabinets and newly refurbished upscale amenities throughout - perfect for a 'Romantic Getaway' or a 'Dream Vacation'. 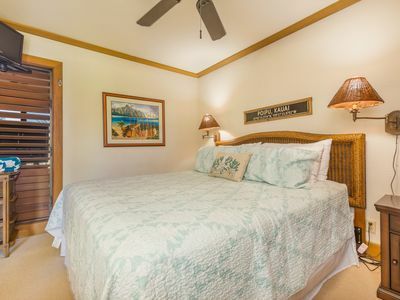 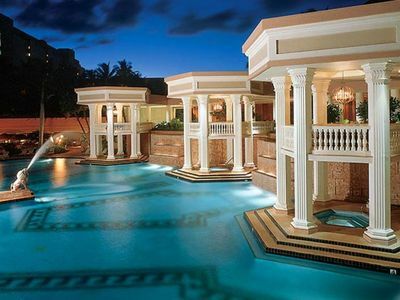 Located in POIPU SANDS, one of the South Shore's most prestigious Beach Resorts with a large private, gated & heated pool, private tennis court, screened BBQ areas and lush, manicured grounds. 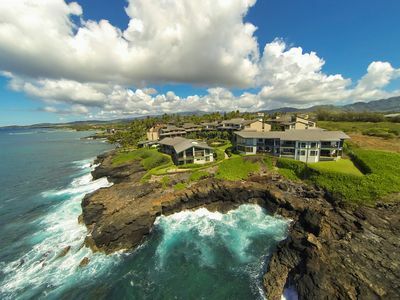 Adjacent to the 5-Star Grand Hyatt Kauai Resort & Spa, a short walk to World Class Plexipave Tennis complex and 4 of the South Shore's best beaches, with two nearby Robert Trent Jones designed golf courses. 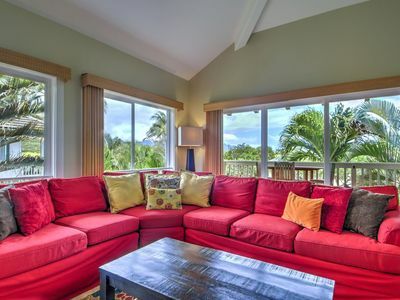 This beautiful ground floor unit opens to a gorgeous, tropically landscaped greenbelt with an ocean view from the lanai. 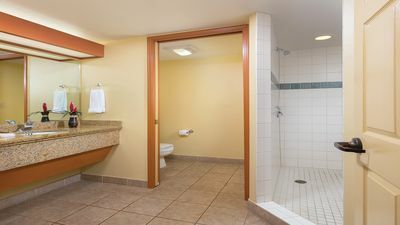 There is a beautiful Mahagony King bed and furniture set in the bedroom, a large master bath complete with custom vanity and linen cabinets, his & hers sinks, hair dryer, lots of receptacles and a travertine tiled bath/shower. 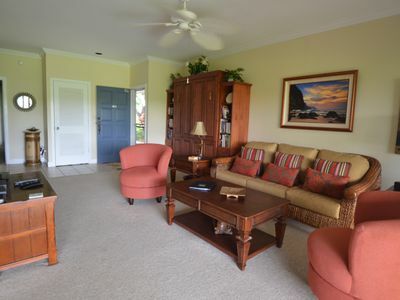 The Condo is exquisitely furnished and comes complete with beach towels, beach chairs and umbrella, boogie boards, Flat Screen TV's, Stereo, Ipod docks, free high speed internet (Wifi) , books and DVD library, and a full equipped kitchen. 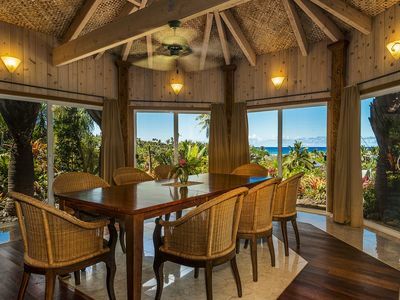 This luxurious ocean view condo provides the perfect setting for your tropical dream getaway - you may never want to leave. 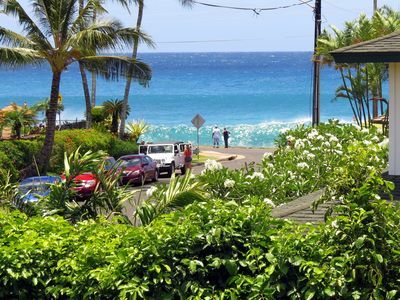 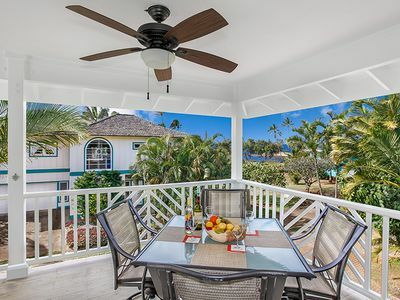 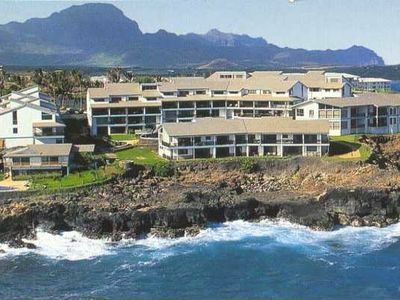 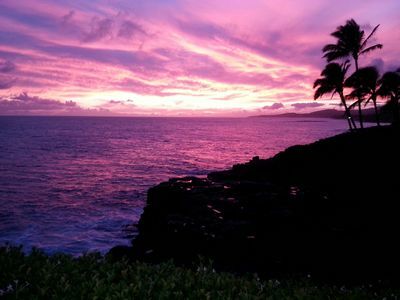 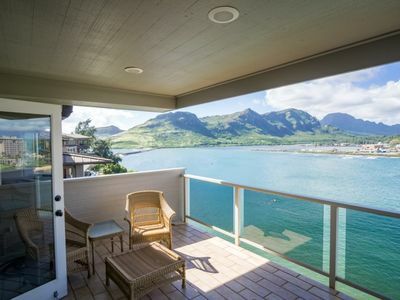 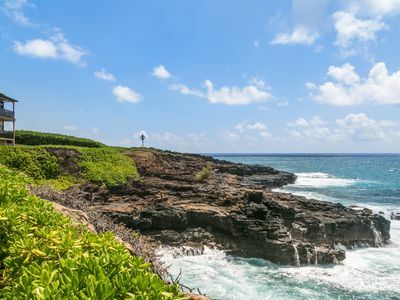 Ocean View Perfect Vacation Home, steps to Poipu's Best Beaches, WITH A/C! 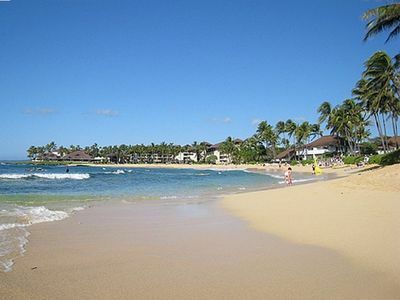 Enjoy Sunny Poipu! 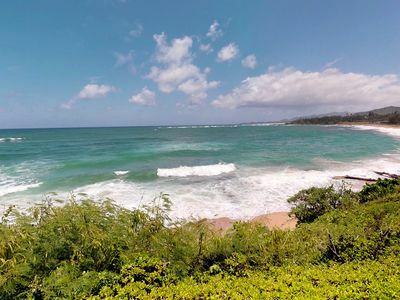 Magnificent Sunrises & Sunsets, Crashing Surf; Cool End Unit!